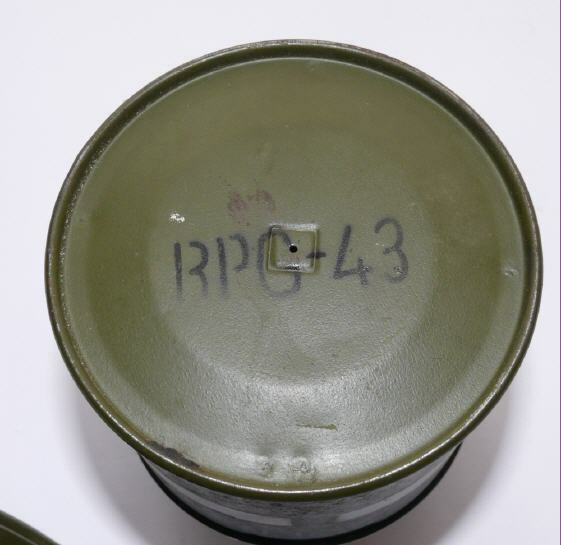 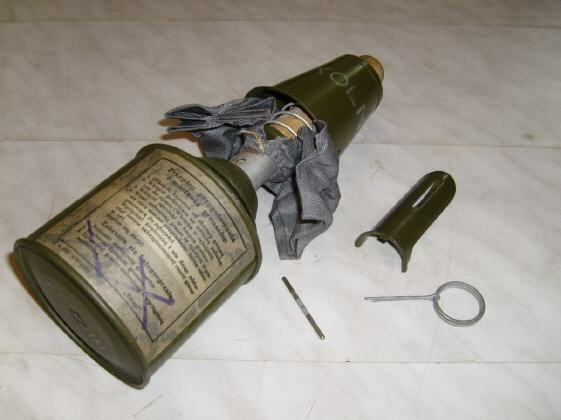 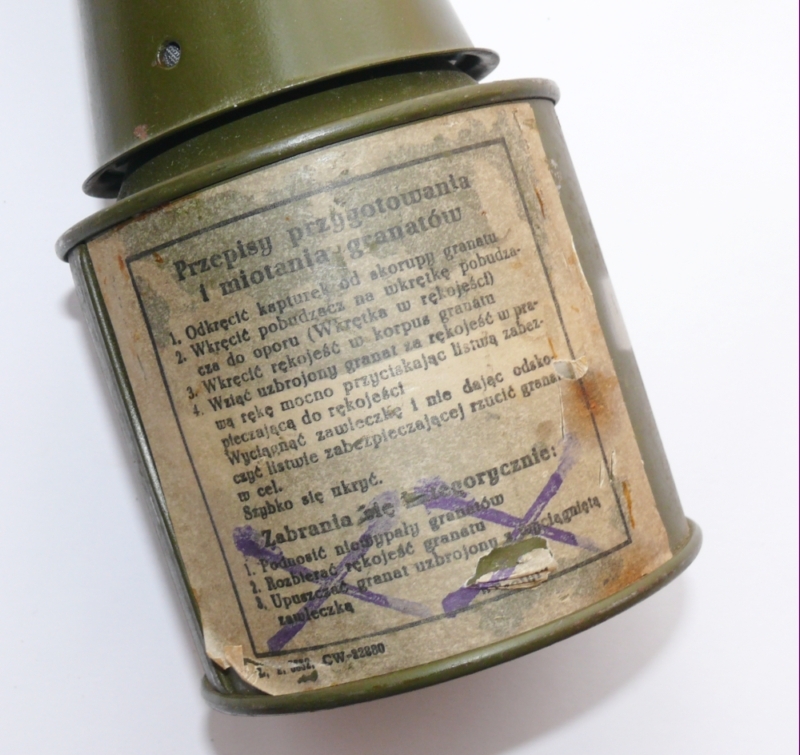 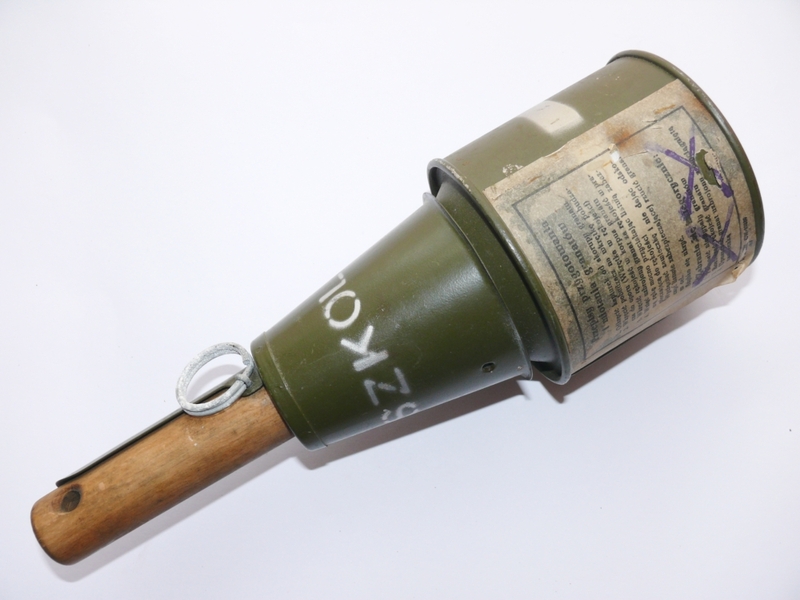 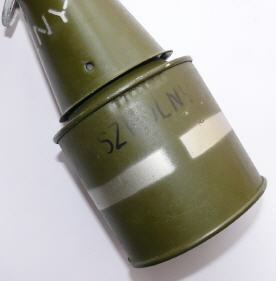 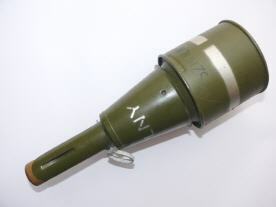 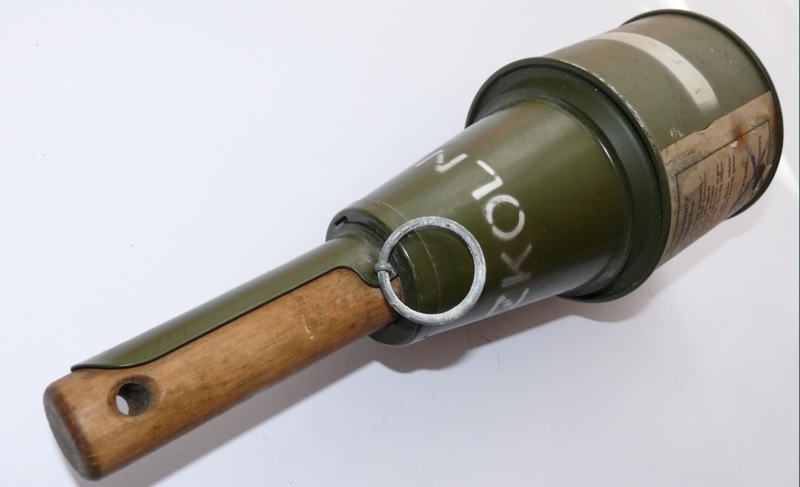 This model was in fact an empty "live" grenade with the text "szkolni" and white line markings. Sand has been put in the body instead of an HE filler. The grenade was used for classroom instruction.